This recipe for tiramisù is very simple, but extremely satisfying. 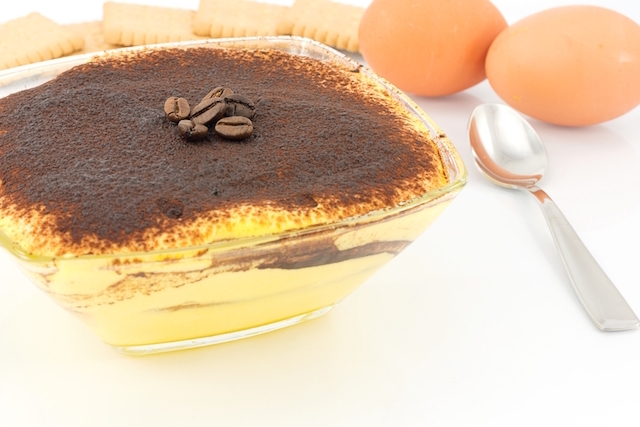 And don’t forget that, when you make tiramisù, you truly are preparing a little slice of Italian food history! You can adapt it to your own taste, in the choice of the biscuits, in adding coffee beans or a layer of chocolate cream, in using white chocolate powder on the top, etc. I use 5 eggs for 500 g mascarpone and 5 tablespoons of sugar. So you can adapt the quantities to your needs, and the ratio should remain the same: 1 egg – 100 g mascarpone – 1 tablespoon of sugar. Prepare a moka (of 3 servings) of coffee and let it cool down. Crush the dark chocolate into small peaces (with a knife). In a different bowl whisk the yolks with the sugar, until the mix becomes creamy. Add the mascarpone and keep whisking. Add the teaspoon of marsala and the whites little by little and mix gently, from bottom to top. Take a biscuit and dip it in the coffee, for less than a second, or it will become too soaked. Place it on a large casserole or oven pan, and continue with the rest of the biscuits until you've covered the bottom of the pan. Cover with a layer of the mascarpone mix. Make layers of mascarpone and biscuits. In the middle sprinkle with the dark chocolate. Finish with a layer of mascarpone mix and sprinkle the powder chocolate. Keep in the fridge for a couple of hours, if it's eaten the same day, or in the freezer if eaten a different day, but take it out 4-5 hours before eating so that it won't be frozen. 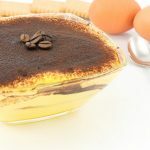 The original recipe is with savoiardi (lady fingers), pavesini or sponge cake to prepare the tiramisu, but it becomes very soft, and I don't like it very much. I prefer to use crunchy biscuits, like the oro saiwa. Some people add fresh whipped cream, I don't like it neither, it becomes too rich. 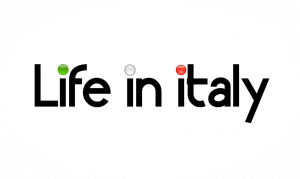 You can prepare directly mono portion glasses or glass cups that will be served without need to put the tiramisu on a plate.